In March 1868 Littlefield Post # 8, Department of NH, Grand Army of the Republic, was organized in Great Falls (Somersworth), it was named for Captain Joshua Littlefield of the 2nd Regt. N.H., who died September 14,1862 in Armory Square Hospital, Washington, D.C. by reason of gunshot wound; received in battle near Bull Run August 29,1862. The Post numbers about 60 members at the time of being chartered and the headquarters are in the hall over the counting room. The officers are as follows: Commander, Jesse F. Angel; Senior Vice Commander, Kirk W. Moses; Junior Vice Commander, C.L. Chapman; Adjutant, Edgar B. LeGro; Surgeon, Jonathan S. Ross; Chaplain, Robert G. Seymour; Quartermaster, William P.H. Moses. In May 1868 the Members of Littlefield Post # 8 proposed to decorate the graves of the fallen soldiers in this vicinity with flowers on Saturday the 30th. This observance will be generally made throughout the country by the boys in blue and will be a touching and appropriate tribute to the memory of their slain comrades. The Post turned out with full rank and marched to the various cemeteries to the music of fife and drum. Sixteen graves of soldiers were decorated, 10 in Forest Glade, 4 in Lord’s, 1 in Pitman’s and 1 in Knox’s Cemetery. 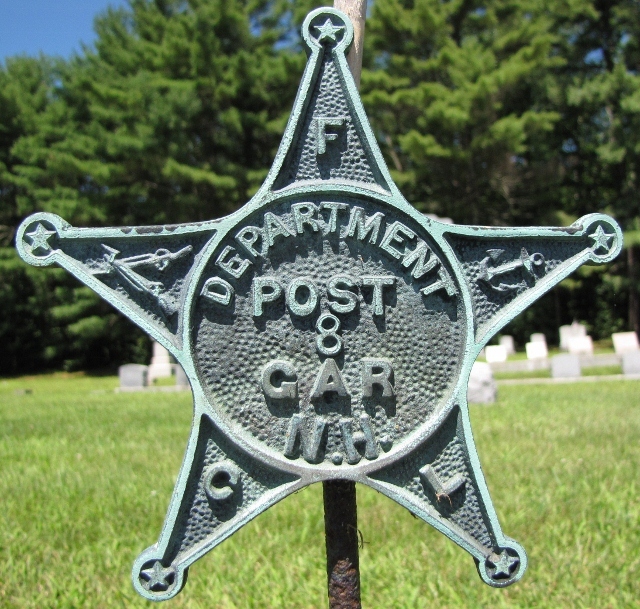 Typically, GAR Posts would raise money in their towns for either a Civil War Monument or a memorial building. The members of Littlefield Post 8 opted for the memorial building, GAR Memorial Hall in Somersworth.